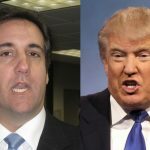 When Trump tweets that it was “illegal” for Cohen to tape him he is simply wrong. The taping was done while both were in NY, which is a one party state. One party states allow any one person who is part of a conversation to tape record the conversation on the legal theory that both parties to a conversation own the entire conversation. No notice to the other party is required. Two-party states like California, require all parties to a conversation to consent to its recording. All states prohibit third parties from listening in to a conversation (without either party’s knowledge) and record that conversation. That’s called eavesdropping. NOTE: In a one party state if one party knows the other is listening in and recording it is legal even if the other party does not know someone else is on the line). But is it ethical? I can tell you that I would never do that to a client though I have been both knowingly and unknowingly recorded by clients in the past. In NY the ethical rules are murky and there is a big difference of opinion on whether lawyers can record ANY conversation ethically without notice to the other side – even if legal. In New York, there is an old opinion from the NYS Bar Association that says a lawyer taping anyone without consent is unethical. The Association of the Bar of the City of New York more recently took the position that it is almost always unethical and would be so if it were a routine practice – as it apparently was for Mr. Cohen. The NY County Bar Association on the other hand has taken the position that it is not unethical because it is legal in New York. The American Bar Association takes the position that it is not forbidden by the Model Rules. So that cloudy picture will likely enable Cohen to argue it is ethical, especially since no NY court has ever ruled that it is not. The only remaining issue is whether Trump can prevent its release by arguing that it was a privileged communication between client and lawyer. But Trump’s lawyers have already waived that privilege because they believe it vindicates him. So therefore no privilege attaches to the recording. A question may arise whether this waiver means any other tapes about the payment are now fair game. The privilege is the client’s to assert and while Trump cannot pick and choose which parts of one conversation he will waive the privilege on, he would be legally within this rights to pick and choose which separate and distinct conversations he will waive the privilege on. Lawyers should think twice before recording their clients without their knowledge. Clients come to lawyers for advice and counsel during the most stressful and serious times of their lives. They should be able to speak unfettered by a concern that their statements may be recorded by their lawyer and that the recording may later slip into the wrong hands or be revealed by accident. We lawyers are in the secrets business. I need my clients to be able to be completely open and honest with me if I am to defend and protect their rights to the fullest extent possible. While I would not want a rule that prohibited lawyers from recording anyone without notice, the NY County Bar Association should join the others and state unequivocally that a lawyer recording their conversations with their clients without the client’s knowledge and permission is unethical and just plain wrong. You should take up with ABA Committee on Ethics who seemed to essentially have said that it is ethical. Releasing without client/consultee consent may be more the issue? I agree that releasing it without consent would be the violation not the mere recording under ABA rules but as my article notes NY has stated that it may be a violation of ethical rules just to record even if not released. Here, it appears the Trump team released it so that of course would be a waiver of the privilege as to this particular recording. As opposed to the usual and predictable, what, sober analysis from “legal experts” blogging online ?